After months of back-and-forth regarding Ivan Baranchyk’s participation in the World Boxing Super Series, the Belarusian power-puncher has confirmed that he will make the first defense of his IBF junior welterweight title against Scotsman Josh Taylor on May 18 at the SSE Arena in Glasgow. Baranchyk, who is rated No. 6 by The Ring at 140 pounds, defeated Anthony Yigit to win the vacant belt on October 27. One week later, Taylor dominated the previously unbeaten American Ryan Martin to clear his way into the tournament semi-finals and the match was on. However, within weeks rumors emerged that the WBSS had encountered serious financial difficulties. Disenchanted, Baranchyk’s manager Dave McWater went on record, claiming that his fighter had pulled out of the tournament and was now perusing other options. 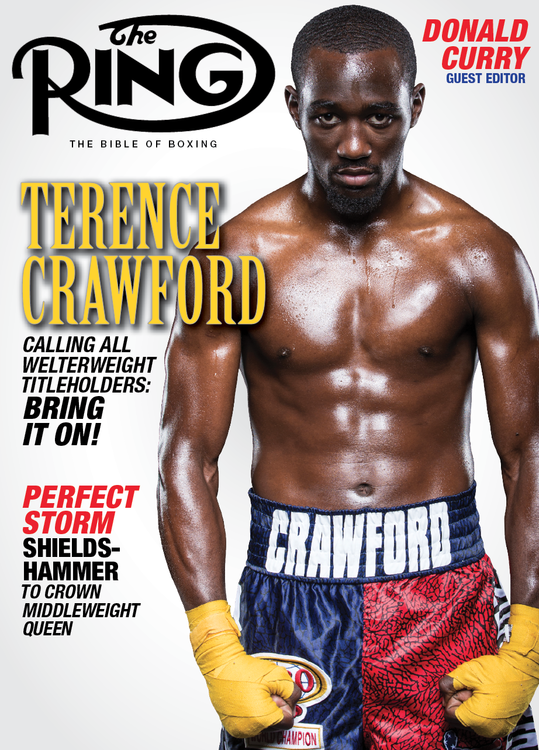 In response, the WBSS held firm, stating that Baranchyk was contractually obligated to continue. Both parties refused to budge and fans grew frustrated when the event was officially announced with so much doubt hanging over the bout. 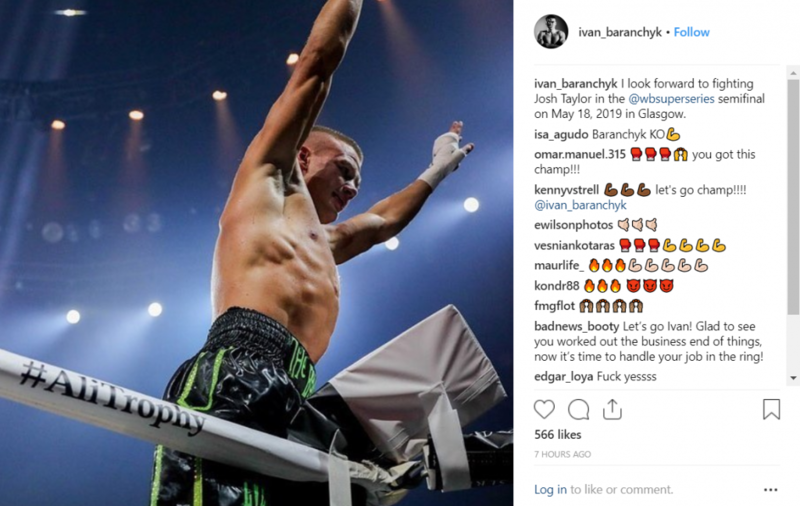 The news that the fight is back on was confirmed by Baranchyk on his Instagram account. Also on the card, Emmanuel Rodriguez will defend his IBF bantamweight title against pound-for-pound star Naoya Inoue in the 118-pound semifinals.